Klynveld - Gibbens is an incorporated company of attorneys, conveyancers, notaries and administrators of estate. 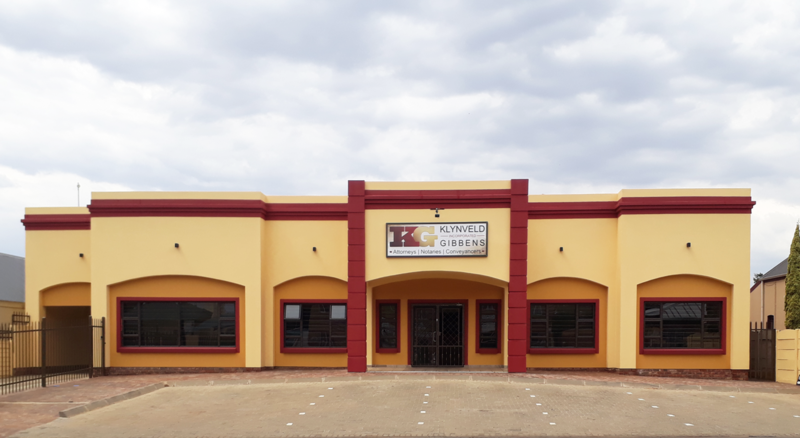 The company is settled and practices at 78 Du Plooy Street, Potchefstroom. The company, and its immediate predecessor, "Klynveld-Gibbens Attorneys", have been in existence since 1988. During this time the company established itself as one of the leading legal firms in Potchefstroom with a substantial clientele. The company renders the full range of services that would normally be associated with a leading company of Attorneys, Conveyancers, Notaries and Administrators of Estates. Loyal and capable personnel, including professionals such as conveyancers, as well as paralegals and administrative assistants, are employed by the company. Services are wide ranging and cover the full spectrum where the law may have impact on the lives of people, including the law of commerce, criminal law, labour law, family law, administration of estates, land related- and constitutional law and administrative law. A conveyancing division, with its own staff complement (including in-house conveyancers) and functionality, concentrates on the legal aspects of all property transactions, from the initial contractual- and financial arrangements up and until the registration of the property and/or all bonds in the Deeds Office. In this respect the firm is guided by the goal of rendering a comprehensive legal advisory service. It has proved to be beneficial to both clients and the financial institutions involved. The company has, ever since it's establishment, shown constant and sustained growth. There is every reason to believe that this will be maintained. All activities of the company are measured against the credo as stated in this document. You are welcome in our circle of clients. We would like you to feel at home, because our clients are also our friends! © Copyright Klynveld-Gibbens Inc. All Rights Reserved.